This is the new 2017 packaging so they've removed the word "salty" from before the roast almonds, but it still talks about salty almonds on the back, so no worries. I think the funniest part of this ice cream is that if I didn't tell you the description, you would swear it was familiar but wouldn't be able to quite put your finger on it. I blame the chocolate hazelnut swirl for this. It's very mild and adds just enough flavor (and sweetness?) to make this one seem familiar and comforting. It's like a dessert you've had but can't name. I don't know if I want there to be more swirl or if I like it how it is. We've gone two for two now on Coolhaus giving us a great middle of the road flavor. Remember, that's not a slight. What it means is a flavor that's dialed in to be easy on the senses and open to people of all tastes. This flavor will not offend and I don't think that's a bad thing. In a way, it's very much meant to be a well crafted vanilla fudge flavor. 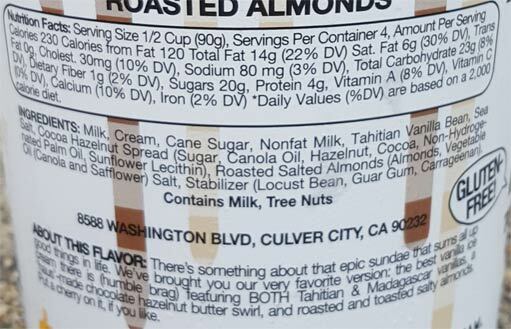 Like the swirl, the almonds are not overpowering. They don't crunch or thud much and don't add a ton of flavor. They try not to jar you from the moment. They are trying to be an easy going mix-in in an easy going flavor. My only mild complaint is that the ice cream is just a little too smooth again. Not as much as the S'mores flavor mind you, but I'm picking up on it more than in the Fig flavor. I get this feeling that I will be ranking textures when I'm done all six flavors. To sum this up another way, I just made half the pint disappear and I look forward to how the second half goes. 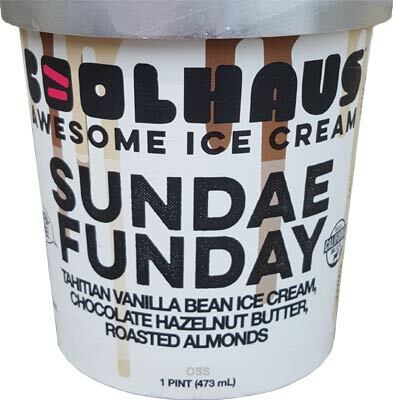 On Second Scoop: Hey all, I didn't mean to go back to back with Coolhaus reviews but I think I need to after the comments on the last post. Yes, the actual second scooping went fine. This one has got a nice flavor profile that is familiar yet more refined than a typical mainstream vanilla fudge ice cream. That said, I should address the ice cream covered elephant in the room, and that's the mix-in levels. See, there is a fair number of people who are disappointed with the current levels of inclusions in coolhaus pints and I get that, I do. I don't know exactly how Coolhaus creates their product, but after three pints, it seems fairly standard that some of the chunks float to the top which makes a great presentation when you open the pint, but also means that the chunks become a bit scarce near the bottom. 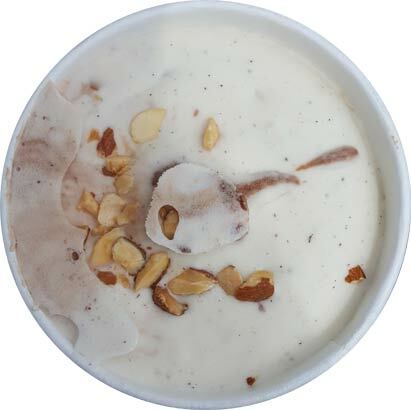 In the case of this pint, it opened great but then there weren't a ton of almonds in the final bites. What I want to stress to the frustrated people out there is that this does not make this a bad ice cream. Saying this is terrible ice cream is not productive. Disappointing and bad are not the same thing. This is my tenth summer of blogging and this one doesn't even fall in the bottom half of all the things I've ever tried. What I want you to do with your frustration is drop coolhaus a quick note with your personal thoughts, tag in the production codes from the bottom of the pint, and let them know how you feel in a nice and friendly manner. That's how we all benefit. They inspire us and we inspire them. Does that sound fair to everyone? I know this probably sounds like a lecture but I just want us all to enjoy our ice cream as much as possible. Ok, I'll get off the soapbox now (feel free to use the comments to tell me to shove a sock in it). I think your review is spot on. 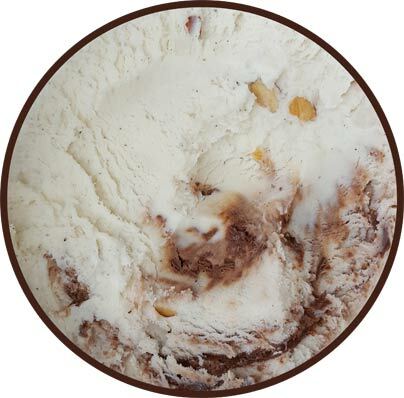 I really liked this flavor - would have enjoyed more chocolate/hazelnut swirl, but it was good the way it was. Definitely worth trying, in my opinion.